ameriDroid VoCore2 - Linux SBC with WiFi by ameriDroid at Andy Pemberton. MPN: AD0247. Hurry! Limited time offer. Offer valid only while supplies last. VoCore2 is a tiny single-board computer. Use it for all types of projects where tiny size, inexpensive cost and built-in WiFi are important. 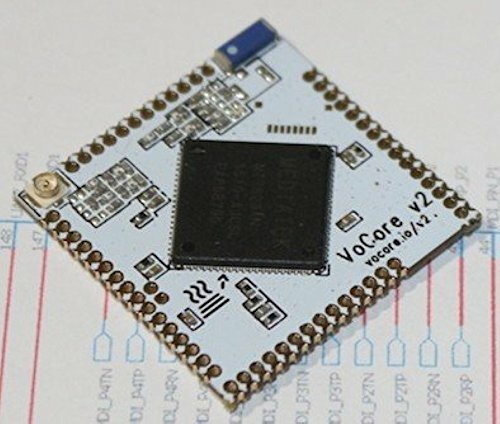 The VoCore2 is open hardware which runs Linux and has WiFi, USB, UART, 20+ GPIOs and more. One inch square! The VoCore2 can be used as a super tiny WiFi router! VoCore2 is a new revision of the original VoCore v1.0, making it faster and more stable without increasing the size!